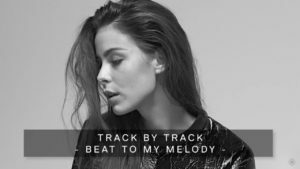 Germany’s 2010 and 2011 representative Lena has just released her new song Beat To My Melody. The modern up-tempo track is part of the artist’s current studio album titled Crystal Sky. 6 years have passed by since Lena’s Eurovision win in Oslo back in 2010 with the song Satellite. In this period of time the 24-year old artist has managed a comeback to Eurovision with Taken By A Stranger, become one of the biggest names on the German music market and has further released several tracks and four studio albums. Now, the singer from Hannover has just presented her newest song Beat To My Melody officially. As expected, the track has a strong beat which is giving it a current and mass appealing sound. The released video shows Lena in different locations, outside as well as inside of a building. The 24-year old singer wears various different outfits within the clip which is a compilation of multiple separate videos, all showing the artist in different places. The quick changes between these clips is supporting the modern sound of the single and is adding dynamics to the song.